A Sequim Referral Broker is an important resource for out-of-area real estate brokers who have clients in the Sequim area. Chuck Marunde is the preferred Sequim Referral Broker for many brokers from Seattle, Tacoma, Bremerton, Silverdale, Bellingham, Olympia, and from California, Florida, and many other states. 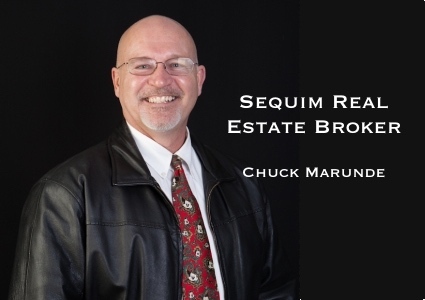 Why are so many brokers referring Sequim clients to Chuck Marunde? What Do Brokers Look For in a Sequim Referral Broker? If a broker is going to refer a client to a Sequim Realtor, they definitely want someone who is knowledgeable, experienced, competent, courteous, and available. But they also want someone who is honest, has integrity, and is professional. While all of these qualities sound like obvious and basic qualities in a Sequim Referral Broker, most people might be disappointed to learn that it is not easy to find a Realtor with all these qualities. The primary reason Chuck is a popular Sequim Referral Broker is not hard to understand when you look at his background. He started in real estate sales almost 40 years ago, practiced real estate law for 20 years, has been an adviser to real estate brokers for over two decades, has over 2,000 articles online specifically for Sequim buyers, has many videos produced in his video studio specifically for Sequim buyers, and has written many paperbacks and eBooks specifically for Sequim buyers. Chuck is the only Sequim Realtor who has created all this content and a marketing system that reaches out to buyers all over the United States. And Chuck is the only local Realtor who has a three dimensional virtual tour camera with nine lenses, a stable of the best digital DSLR cameras, lenses, and lighting equipment, and Chuck is the only local Realtor who is registered as an FAA drone pilot with the experience to take professional video and edit it to Hollywood quality. Chuck also has an exemplary track record. He was the No. 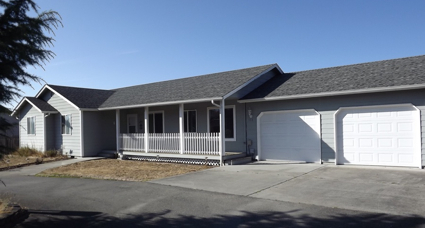 1 selling Sequim broker for 7 consecutive years for single family homes above the price of $200,000. He also received the prestigious Five Star Real Estate Agent Award, given to only a handful of Seattle area brokers. As a Sequim Referral Broker, out-of-town brokers are very happy to find Chuck, because he has everything they are looking for in a local broker. He has the professionalism to make them look good with their client, and he is trustworthy so they know they’ll get paid a referral fee at closing. Here’s an amazing fact. Brokers from many different companies refer clients to Chuck Marunde, even companies that are part of a national brand. Keller Williams brokers from all over the State of Washington refer clients to Chuck regularly, but so do brokers from RE/Max, Windermere, C21, John L. Scott, Exit Realty, Adamas Realty, EXP Realty, Coldwell Banker, and some boutique firms, too. Chuck Marunde is known for answering his own phone. Can you imagine that? If he doesn’t answer it (because he’s with a client or talking to another client), he actually returns calls promptly. Chuck only has one phone number on everything so he can be reached. If you are a broker who needs a Sequim Referral Broker, call or text Chuck Marunde at 360-775-5424. Or you can email ChuckMarunde@gmail.com. 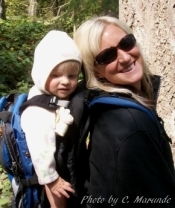 Now you know who to call for your Sequim Referral Broker. Home Buyers – Who is Watching Out for You? iRealty in Sequim (short for iRealty Virtual Brokers) offers more than any other brokerage, not just by a little bit, but by an order of magnitude. This short article is the tip of the iceberg. The whole emphasis here is not on boasting about ourselves, but sharing how much we do for you. I honestly feel that if people actually knew how much iRealty does, they would not even consider hiring another broker. But you can be the judge of that. 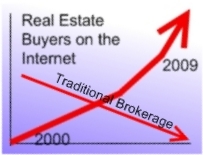 iRealty has the largest volume of content-rich resources for buyers on the Internet of any brokerage in this market . . . by an order of magnitude. Our main Sequim real estate blog has over 2,000 articles written specifically for buyers. These articles have taken over a decade to write and four decades just to acquire the knowledge and experience to create them. The articles answer nearly every Sequim real estate question buyers have been asking for the last two decades in this market. Who does this? No one except iRealty. And all this is free. No registration is required. iRealty has many paperback and Kindle books written for buyers and sellers specifically about the Sequim real estate market. Again, we’re the only brokerage that has written entire books about the local real estate market. You’ll find links to our books on the real estate blog, or you can find them on Amazon. iRealty has produced professional quality videos for buyers, including our popular 6-part buyer series. We’re the only local brokerage with a video studio with these kind of educational videos for buyers and sellers. See Sequim Real Estate Videos for Buyers. We are the only local brokerage to have a professional photographer on staff with the best cameras, lenses and lighting equipment. We are the only local brokerage to have a 3-dimensional virtual tour camera with 9 lenses that gives buyers an interactive online tour of homes. And finally, we are the only local brokerage with an FAA registered drone pilot on staff to produce professional aerial videos. Perhaps you can begin to understand why we feel that if people only knew what we do and how we do it, they wouldn’t hire anyone else. The foundation of iRealty is built on values that are never compromised. Those values are truth, honesty, integrity, professionalism, and putting our clients’ best interests at the center of everything we do. These are not just cliches–these are values we live by 24/7. 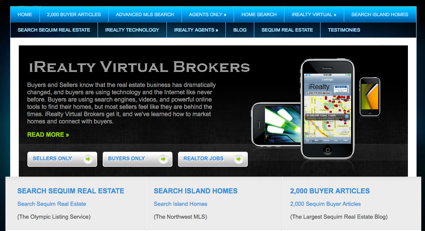 By the way, just because our name is iRealty Virtual Brokers, do not assume that we are not physical beings. 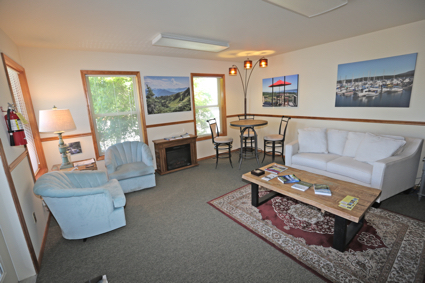 In fact, we designed what I think is the best real estate office in Sequim. It is my idea of a private Starbucks without the noise and people, and it is more comfortable. We have all the media and wireless connections we need for great flat screen presentations. Now you know much more about iRealty. Can you see why we feel so strongly that if people really knew what we do for them, they wouldn’t hire any other Realtors? But you be the judge. After all, it’s your money and your life. We just hope you’ll give us the privilege of serving you and proving that iRealty is above the crowd by an order of magnitude. Ambiguous real estate contracts can turn into a nightmare for a buyer like you. Real estate contracts are an important part of buying a home, and normally your Realtor drafts your real estate contracts. These are binding agreements, and if your Realtor doesn’t draft clean documents that are unambiguous, you could end up with a nightmare. I know this, because I was a real estate attorney for 20 years. Now I’m a buyer’s agent for people moving to Sequim. During all these years, I’ve seen hundreds of ambiguous contracts, clauses, addendums, as well as ambiguous letters and emails, and I’m talking about communications from other Realtors. I can testify to the importance of articulate and unambiguous contracts and communications. Words have meaning, especially in real estate contracts, but sometimes words can be misleading, as in this photo. 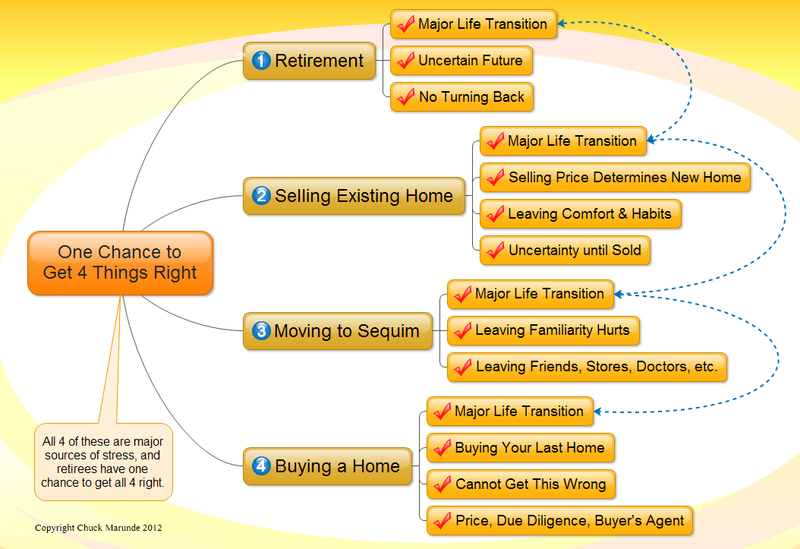 Real estate transactions have gotten exceedingly complicated over the decades I’ve been in the business. A purchase and sale agreement was only two legal sized pages when I started, but today I would say the shortest agreement is 14 pages. The legalese is far beyond most buyer’s understanding. But that’s not the problem. The problem for you as a buyer is ambiguities in the communications between the Realtors and others involved in your transaction. I can’t tell you how many hundreds of times I have received an email from a Realtor on the other end of a transaction that is embarrassingly ambiguous. Look, not everyone is good with the English language, right? We all know that, but have you considered how deleterious an ambiguity can be in your real estate contracts? Being sloppy with English is okay in a casual conversation, but not in a binding contract. How many times have people ended up in a dispute because the buyer thought something was going to happen, but the seller had an entirely different idea? These misunderstandings can be minor or major, but in either event, they can be a nightmare. How do such things happen? Poor communications between the Realtors. The articulate use of the English language is essential when you are buying a home. It is important to express your intent as a buyer in your real estate contracts concisely and without ambiguity. It is vital that your Realtor know what to say and what not to say (or write). After 40 years in real estate, I’m going to estimate that 70% of all Realtors in the U.S. do not communicate clearly throughout the entire length of a real estate transaction on all issues. Frankly, I think that percentage is probably much higher. Most buyers get lucky, and if nothing bad happens, then no one ever knows the difference. You don’t have to hire me as your buyer’s agent, but I hope you do. I work very heard to earn your business, so interview me, meet with me, talk to me. Find out for yourself. I don’t practice real estate hoping, guessing, or by using ambiguous language. I don’t do ambiguities. I protect my buyers. Trust me, you do not want ambiguities in your real estate contracts. This article is written to home buyers like you. You’ve been planning to retire in Sequim and now you’re looking at homes online, doing some research on the Internet about Sequim, and you’re anonymously peeking at a few real estate brokers’ websites. You’ve even looked over a few of their resumes. You’re still in the planning stage. You’re not worried about making every decision with absolute perfection, but you definitely don’t want to make any bad decisions, especially at this point in your life. 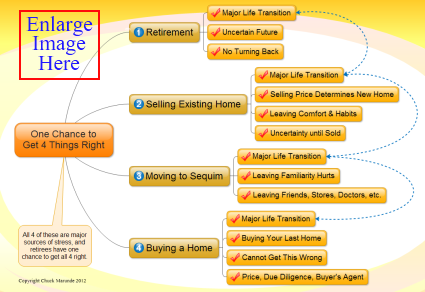 Below is my graphic of “One Chance to Get 4 Things Right.” Enlarge this graphic by clicking on it, and you can read the detailed article at Retire in Sequim. Who is Watching Out for Home Buyers? The challenges you have as you transition to Sequim are not insignificant. But you can only do so much. You can only know so much. You may not have all you need to make wise decisions and avoid every possible mistake. After all, you’ve been a professional in your own area of expertise, which is probably not real estate. So what do you do? You do what most home buyers do–they hire a real estate broker they trust. But did you know . . . So my question to you as a buyer is, “Who is watching out for you?” As I said earlier, you can’t know it all when it comes to real estate transactions, so who do you trust with your money, and who do you trust to help you with such major decisions? When it comes to buying your next home, do your due diligence on the agent you hire. Where is wisdom? This is the rhetorical question I have been asking for a couple of decades. This is a real estate blog, so I write about all the issues that concern buyers and sellers of real estate. With over 1,900 articles here, I strive to help buyers discover the answers to their most important real estate questions. At the foundation of every single article on this site is the focus on what is true. To the best of my knowledge, there is not one single incorrect fact in the thousands of articles on this site. Why? Because the truth and accuracy are absolutely critical, and they are critically important here because integrity and honesty with our clients is everything. Should you ever find any statement that is not true, bring it to my attention, and tell me why it is not true. I will examine it and put it through the filter of truth. Where is Wisdom Today in Real Estate? Every fact and article on this blog must also pass the test of context and wisdom. The question, “where is wisdom?” is always front and center on this real estate blog. Read the articles, search for answers to your questions with our powerful search tool, email questions to chuckmarunde@gmail.com. It is my personal hope that if you ask “where is wisdom?” you will find it here. We’ve heard it all our lives, “You can’t judge a book by its cover,” but is that really true? While there are certainly applications that are fitting for this cliche, I am going to challenge conventional wisdom and suggest that when it comes to hiring a professional (doctor, lawyer, priest, dentist, insurance agent, or a real estate agent), it is actually false. You can judge a book by its cover when you meet a professional you are thinking about hiring. In 37 years as a professional, I have seen one disturbing pattern repeat itself over and over again: people who hired a professional who later admitted they made a mistake, although their first clue was a bad first impression. Had they stopped to think that maybe they can judge a book by its cover, they might have avoided hiring the wrong person. For most of these folks, it wasn’t just a matter of hiring the wrong person, it meant hiring someone who was either incompetent or dishonest or unethical. In so many cases that clients have shared with me in almost four decades, had they paid attention to their discernment, had they realized they could judge a book by its cover, they would not have made the mistake of hiring the wrong person. Here’s a rule you can live by. When you talk to a professional the first time, including real estate agents, listen to your first impression. In this narrow context, your first impression is usually dead on. Listen to it. In this case, you can judge a book by its cover. Having said all of that, the next obvious lesson from life is that just because a person looks good, smells good, and has a sweet voice and smile, and says all the right things does not mean you shouldn’t do some due diligence. Check everyone out. You have to. You’re about to entrust someone (a Realtor) with a lot of your money. 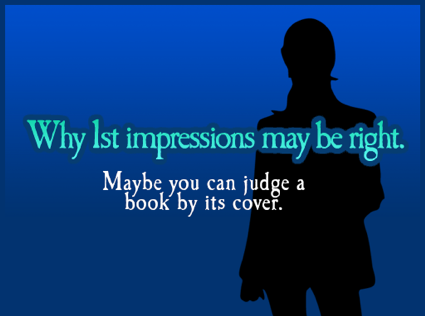 But don’t disregard your first impression, because maybe you can judge a book by its cover. One thing can change your life. It’s true, one thing can change everything for the rest of your life. Whether a Californian moves to Sequim to retire in their dream home, or stays in Los Angeles the rest of their life often turns on a single event. Let me share a simple example to get your brain’s neurons firing. One of my personal challenges in life has been finding a good affordable electric shaver. There are some very fancy and expensive electric shavers, and being financially conservative and skeptical, I have not been persuaded to make a withdrawal from my 401(k) to invest in one of the top of these line electronic marvels. Replacement screens and cutters, and the alcohol solutions for cleaning the units all require a substantial monthly budget. Instead, I fell into a pattern of purchasing inexpensive electric shavers priced from $9.99 to $29. At those prices it was cheaper to just buy a new shaver rather than replace the screen and cutters. But I always had a hard time throwing any of these away, so I had a box of electric shavers, and my bathroom counter surrounding the sink on any day would have a myriad of shaving units. The problem wasn’t just that I had a mess on my counter. I also wasn’t getting the best shave, and the skin on my sensitive neck and face suffered. Then I discovered that one thing can change your life, and it changed mine. I bought a top of the line electric shaver. It’s a Braun Series 3 Model 390 cc-4. The very first day I used it, I realized I was feeling a new sense of freedom. The much more powerful unit and faster speed of the cutting action gave me the smoothest shave I’ve ever experienced in my life, and once again my neck and face were as smooth as a baby’s behind. It was fast and painless, and I love the results. So how did this one thing change my life? After this one thing–buying a quality electric shaver–I collected all my old shavers in a large box and threw them out. Then I cleaned the entire bathroom counter and organized it better than it has looked in years. But changing one thing often reverberates in the rest of your life, and this was true for me even in this little thing. With my bathroom counter looking so good, I got the bug to clean the rest of my bathroom. I scrubbed, cleaned, and organized. I stood back and felt a sense of pride. Then I realized I had not yet replaced two dead light bulbs of the many that encircled the bathroom mirror, so I did the thing that any man would do. I went to Home Depot. While in Home Depot I met some friends, and we had a great conversation, and there was plenty of laughter. Hearty laughter is great medicine for the soul. The day just kept getting better. Having recaptured my baby smooth face with the new shaver, and now getting a happy surprise every time I walked into my bathroom, I was on a roll, and started cleaning the kitchen, and then the other rooms in the house. Because of one thing, buying a quality electric shaver, a chain of events was put into motion, and my life has improved, albeit in small ways. A couple in California decide to visit Sequim with the idea of looking at homes and evaluating the area to see if this might be the place to retire for the rest of their lives. There are many steps in that process. They will spend time on the Internet before they come looking at homes, reading about Sequim, and perhaps emailing or talking with a local real estate agent. They collect information, and they filter through lots of information. 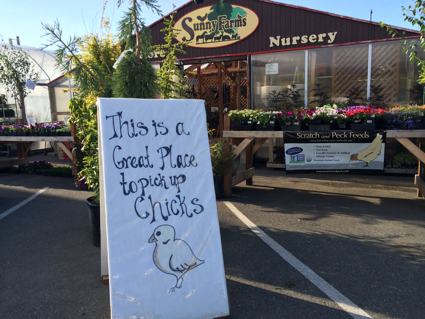 They contact an agent, and they come to Sequim to look at homes. If they hire the wrong real estate agent, they may take a completely different path, one that leads to staying in Los Angeles. If they don’t find the ideal retirement home, they may stay in Los Angeles for the rest of their lives. If they find the right house, but they make a mistake in the negotiations, they may not get it. On the other hand, if they meet a Realtor they enjoy working with who is competent and professional, and if they find the ideal home, and if they negotiate a great price and terms, and they have a good experience in the process, they end up moving to Sequim and the rest of their lives are changed forever. Or any one event in the chain of events could cause them to stay in Los Angeles for the rest of their lives. Living in Los Angeles will result in a series of inter-related events that have their own consequences and meaning for life, some good, some not so good. 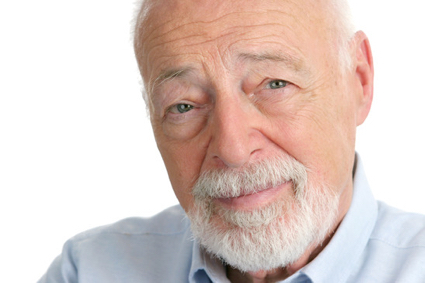 There are many decisions made in the retirement process, and one thing can change your life. Whether they move to Sequim or stay in L.A., the people with whom they have relationships will play a major factor in the path they take. The next person you meet could change your life forever. The next home you buy could change your life forever. Take it from many retirees who have already moved to Sequim and from me, having lived here for 18 years, one thing can change your life forever. Real estate agents are leaving the business, and while that’s not front page news anymore considering the last five years, it is relevant to both buyers and sellers. In 2008 Sequim had 258 real estate agents, and now (April of 2012) we have only 107 real estate agents. Let’s do the math. That means we only have 41% of the agents we had, which is nearly a 60% loss of agents. Here’s a coincidence for you. While I was finishing typing that last sentence I got a call from a homeowner whose home I showed a month ago. He called to tell me that his listing agent left just the brokerage. Amazing. He also told me that his listing has been terminated, and he wants to relist his home with another company at a $50,000 price reduction. He’s not my client, so I did not feel comfortable telling him over the phone that his home was overpriced by $100,000, not $50,000. I did share that with his listing agent when I showed the home, but either his listing agent did not communicate that to him, or he simply did not believe it. This is a perfect example of why a homeowner’s home has not sold and why his own agent is starving. She can’t earn a commission trying to sell an overpriced home in a recession. No wonder so many real estate agents are leaving the business! These real estate agents did close their doors. 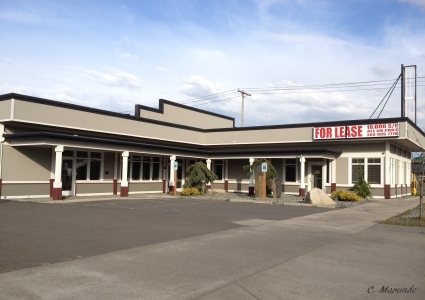 This was one of the largest real estate offices in Clallam County, and the owners were evicted from the building. They didn’t have enough business, and their traditional bricks-and-mortar business model could not survive this recession. That’s certainly unfortunate for them. For consumers, buyers and sellers, there is a bigger picture of change occurring. It is slowly transforming into something much more consumer friendly, efficient, and much more oriented to addressing the best interests of the consumer in an honest way. Consider how incredibly easy it is for you as a buyer to search all the homes in the MLS online 24/7 from the comfort of your own home without talking to any high pressure salesmen, or how easy it is to do your due diligence online to find a competent and professional and trustworthy buyer’s agent. You can now do tremendous research online at absolutely no cost about a home, it’s history, the previous prices paid for the home, the tax assessment, and much more. All of this substantially reduces the need to consumers of a large bricks-and-mortar building full of sales people. If you consider this real estate blog alone has over 1,100 articles about Sequim real estate, an MLS search buyers can use 24/7, and dozens of powerful online tools for them to research and do their due diligence on Sequim homes before they ever arrive in Sequim, and that they can do all of these things without being forced to register, you can see why I could say just based on this that I have the largest virtual real estate office in the county and maybe the state. During the calendar year of 2011 over 315,000 prospective buyers used this real estate blog to search for and find their retirement home in Sequim. My articles were read over 1.6 million times. In light of how buyers love to use the Internet and free powerful tools to help them, it’s not hard to understand why so many of the big offices are closing their doors. Not only is their overhead ridiculously high, but their business model and sales approach no longer caters to buyers’ real needs. I do have a physical office, but clients don’t care about a physical office any more. Why should they? Sellers want me to come to their homes, and buyers are interested in driving around and looking at homes, not sitting in an office. In fact, my clients seem to prefer meeting at Starbucks and enjoying a cup of coffee as we prepare to look at homes on their filtered list. This is why I’ve spent so much time and money building so many powerful tools on the Internet for buyers. Not all real estate agents get it, but buyers get it and they love it. Have you ever thought about real estate agent personalities? I write periodically about how important it is that you have a great real estate agent, but rarely do I discuss personalities or behaviors. First, you want an agent who is knowledgeable and competent. That’s a given. Then you certainly want an agent who is trustworthy, someone you can trust to represent your best interests. That’s a given. But you also want someone you feel you can work with, right? That’s where personality comes into the picture. Real estate agent personalities run the gamut from quiet to boisterous, from reserved to giddy, humble to arrogant, serious to humorous, and so on. One could say that what I’m describing are really reflections of a person’s personality or personality traits, and that there is much more to a person’s total personality than learned behaviors. That’s probably true, but we often identify a person’s personality by how they relate to us in a given situation. A real estate agent’s personality is often reflected in what they did in an earlier career. So a Realtor who was an accountant or an engineer will typically be a detail person who pays great attention to trivia, which is good, but which also can drive some people crazy because of how that directs conversations. My own prior career as a lawyer would normally suggest, I think, that I would tend to be confident and arrogant. Those who know me best tell me I am confident but not arrogant. Thank God for that, but it’s a process and I continue to strive for humility and wisdom. Lawyers are rarely good salesmen and are known for being deal killers in the real estate business, but fortunately I started as a Realtor and later became a lawyer. My heartbeat even as a lawyer was to facilitate real estate transactions and not kill them. I sympathize with others’ feelings. Where your agent is on this scale of agreeableness is no small matter. You definitely don’t want an agent who is near the bottom of this list. I live in Sequim, and I would say that many of my Realtor friends in Sequim are agreeable and very pleasant to work with. We are lucky in Sequim that way. As has been said by many of my clients, “Sequim has so many genuinely kind people.” And I think that is true of our Realtors, too, but you still want to choose the best Realtor for you, right? You want a Realtor who is agreeable, but not milk toast either, and you want someone who is willing to serve you faithfully, not out of his own self-interests. Agreeableness is a tendency to be compassionate and cooperative rather than suspicious and antagonistic towards others. . . . Agreeable individuals value getting along with others. They are generally considerate, friendly, generous, helpful, and willing to compromise their interests with others. What do you look for in a real estate agent? 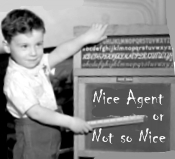 I’ve written elsewhere that it is important to do your due diligence on the Internet to find out if it appears your agent is competent, knowledgeable, and comes off as honest and trustworthy, but then I also recommend that you interview your agent (or several) and see if your personality meshes with your agent’s personality. You’ll know the answer to that question almost immediately. Search for any real estate issue with this specialized Sequim search engine and pull up the most credible and authoritative posts, articles, videos, and data from many Sequim websites and blogs directly answering your questions. Sequim real estate agents are wondering what Chuck Marunde is doing to sell so many homes and get so many qualified leads. Neighbors of a home Chuck has listed in Sunland on the golf course are seeing the sign and the activity and wondering who this broker is. They’re used to seeing the familiar franchise signs for sale on homes in Sunland. So who is Sequim & Port Angeles Real Estate, LLC, and what’s all the hullabaloo? In the biggest real estate recession the country has seen in decades, and the worst real estate market in memory for Sequim and Port Angeles, many real estate agents have left the business, and some have not sold anything in over a year. Many are working other jobs, including washing dishes (literally) just to survive. Not Chuck Marunde. Most real state brokerages are operating under a 20 year old business model, but they are being left behind by the Internet. Selling homes in Sequim or Port Angeles is no longer a simple matter of putting it in the MLS, running an ad once every six weeks in the local paper or the home sales magazine. Agents who are sitting at the desk staring at the phone while it does not ring and waiting for buyers to walk into their brick and mortar offices are getting nervous, but more importantly, they are not producing sales for their listing clients and they are not connecting with buyers. Sharp buyers and sellers are not just using the Internet–they are using it intelligently. They know how to filter through the garbage to find a good agent, how to search for property, and they are discerning the difference between agents who are blowing smoke and the agents who have real experience and professional knowledge. So this real estate blog continues to help buyers and sellers to buy and sell in this market, but this blog also continues to be a source of professional education for real estate agents. Everyone is welcome here. At least one agent in Sequim and Port Angeles is having fun. Chuck Marunde can be reached at his email, which is chuckmarunde@gmail.com or his direct phone, which is 360-775-5424. Finding a real estate agent who is good is not something some people consider important, or they don’t realize how to find a good real estate agent. This is a true story. As it turns out, his friend’s wife is not so competent and not so ethical or professional. The details don’t matter for purposes of this brief story, but the bottom line is that Mr. Professional gets less than royal treatment, and that is the understatement of the century. I’m being polite here. At the time Mr. Professional had no idea how his own real estate agent sabotaged his transaction with her incompetence and unprofessionalism. He never knew, that is, until much later, when he subsequently finds out, and later tells me the whole story. Real Estate Agent – Dime a Dozen? What’s the moral of this story? Just because your friend’s wife is a real estate agent does NOT mean she is a great agent who will do such a great job for you. Why in the world would someone assume they must hire their friend’s wife or sister or friend? I’ll tell you why, and when you think about it, it just seems dumb. They hire that person simply because of that relationship. Period. That is the ONLY reason. It’s hard to believe, but this happens regularly, and I hear the nightmare stories. Of course, there’s nothing wrong with hiring a friend’s wife as your real estate agent, if she is truly competent, experienced, professional, and ethical, but for goodness sake, do some due diligence first. Go out and interview at least three real estate agents, and choose those three carefully by filtering through the Internet to first read about them and find the one real estate agent with the best education PLUS experience PLUS a powerful Internet presence. The first two should be obvious, but don’t forget that 85% of all home buyers start their search on the Internet today according to a national survey by the National Association of Realtors, so if your real estate agent doesn’t have a powerful Internet presence, go somewhere else. Honestly, I have heard so many stories from good people who hired a housewife as their real estate agent because she was a sister of someone or a brother’s aunt’s daughter, and after they have made the same big mistake that so many before have innocently made, they shake their head in disbelief as they talk about it. Why would I be so blunt and honest in this article? Because I have seen this same scenario so many times as a real estate attorney and again as a real estate agent that I think I’ll scream it out–All real estate agents are NOT the same. Hire a good real estate agent, not just someone who has a license and is your friend’s wife. Many of these real estate agents have no business background, no degree in marketing or sales, no real estate knowledge, other than the little online courses required to pass the test, and virtually no experience in hard negotiating or legal documents, and you’re hiring this person to spend your $300,000? Egad! Okay. I’ve said it. Now you have some choices to make. Hire someone who is professional, honest and has the experience, someone who will assertively represent you, or . . . hire Tom, Sally, or Jane who just happens to be a friend of a friend and got his or her license. Not sure who to hire? Call me and ask me anything under the sun, and I’ll answer your questions honestly. Do the same with two other real estate agents. Then judge for yourself. If you don’t think I’m the man for the job, then hire someone else, but don’t you deserve the opportunity to find out for yourself before you hire Jane or Sally automatically? Hire a good real estate agent, whoever he or she might be. A good real estate agent is not easy to find. There’s a new Internet search engine in town, and it’s Microsoft’s search tool called, “Bing.” It’s easy to find on the Net, because it is simply bing.com. How does it stack up to the number one search engine, Google, which has about 64% of the search engine market? It is amazingly similar to Google. Microsoft is struggling with only 8% of the market. Even thought Microsoft has been around a lot longer than Google, Google clearly figured out what consumers wanted, and Google continues to tweak and build to meet the cutting edge of consumer preferences. Microsoft has not done so well in this area, but their new search engine looks amazingly similar to Google’s. Even the results are quite similar, although not precisely the same. Of course the results will not be exactly the same with different algorithms. But if you’re using Google already, you might wonder why you should shift to Bing. Other than a moment of “something new,” I can’t answer that. Most Microsoft searches have been the result of using MSN with toolbars and other methods, while just 1 or 2 percent come from people actually typing Live.com into their browser’s address bar. The rumor is that Miscrosoft plans to spend $80 to $100 million dollars to advertise and promote Bing. Well, that wouldn’t be the first time Microsoft tried to buy its way into a market. We’ll see how it goes, but this author predicts that Google will remain dominant and Google fans like me will continue to favor Google. Sequim real estate brokers and Port Angeles real estate brokers are certainly facing many of the same struggles that brokers are facing all over the country, and Traditional Real Estate Brokerage is rapidly becoming a business model of the past. Why? Let’s face it, and we all know this, everyone is moving to the Internet for almost everything. Real estate agents can’t afford the expensive advertising of print newspapers, but print advertising just isn’t pulling in the clients anymore either. Because consumers no longer want to read stale news, pay newspaper subscriptions, and because businesses are not paying for expensive and ineffective advertising, print newspapers are going out of business across the United States. And brick and mortar real estate offices are not what impresses clients. This tidal wave of change that has been sweeping the nation is literally forcing real estate brokers to ditch the old business model, because they are getting sucked into a black hole of financial disaster. Imagine being forced to close 11 real estate offices! That’s exactly what RE/MAX Dolphin Real Estate did. “This is not a geo-centric business anymore. The office has become less of a focus,’ said Allan Bernardi, broker and chief executive officer of RE/MAX Dolphin. ‘Technology has reduced the need to get the client into the office. You need to go where your clients are. '” Read Mobilizing the Real Estate Office. Sequim & Port Angeles Real Estate, LLC has been on the cutting edge of technology and the Internet, and we are pleased to announce that we are the largest real estate Internet brokerage in the county. We’re not sure, but we may be the largest private solely owned Internet broker in the State of Washington. All that would not mean much, except we are also built on a foundation of professional competence, knowledge, and integrity. Chuck Marunde started in real estate 30 years ago, spent 20 years as a real estate lawyer, and now focuses that experience on real estate for buyers and sellers in Sequim and Port Angeles. “We give clients more free information on the Internet than any other competing broker on subjects like buying and selling, the specifics of a transaction, negotiating the best price, building your own home, market prices and charts, analysis, MLS information, and much more–all free for our clients and all those who just need the information,” says Chuck Marunde, broker and founder. Check out our sites: SequimPortAngeles.com and SequimRealEstateNews.com. For the hottest new online newspaper in the area, see Sequim-News.com. As a real estate broker I’m part of a national network of professionals in the real estate business, and I have the privilege of conversing with these professionals about the real estate business, brokerage, the market, sales techniques, and trends. I learn a lot from these colleagues, all of whom live and work outside my market. Here’s a story I’ve heard more than once. An agent worked for a broker who promised everything under the sun, including a vast educational network, training and mentoring, opportunity for growth and income, office support, tools, supplies, and affiliations that could help the agent build his business. The agent wasn’t new to the business. As a matter of fact, the agent had years of precious experience that the broker insisted would be helpful to the brokerage and help them finally get moving in the right direction and get some momentum going. There were even hints of partnership or management that would involve substantial compensation. It all sounded so good to the agent that he signed up enthusiastically with the broker. Unfortunately, after a year of no office meetings, no “vast educational network,” no helpful affiliations, no marketing systems, no business planning, . . . and virtually no office support with any value, the agent decided he had no choice but to move on. He realized after pouring his heart out and working long hours to be successful at the brokerage, and after undying loyalty and faithfulness to the broker and the broker’s wife and the entire staff, the broker had in fact misrepresented his services and benefits. It turns out this is a common story told in nearly every region of the country. Real estate agents have a hard time finding a good home, and that’s the rule rather than the exception. The exception is the agent who has been working with the same broker for a dozen or more years. That’s rare. It’s a tough business. Brokers are trying to make money off every agent, and agent’s are trying to keep as much of their money as they can. If an agent felt he was getting great value for the substantial portion of the commission he gave his broker out of each transaction, that would be one thing, but many agents are finding out they don’t get all that was promised, and some argue they don’t get anything. With the real estate market down so far, and deals few and far between, it has become dog-eat-dog out there. If you’re a Realtor trying to find a broker who understands how to run a profitable business and take care of his agents with generous compensation and mentoring, don’t give up hope. They’re out there. They’re just hard to find. It’s a shame that such things happen, but this is not unusual around the country. Getting a real estate license is not much harder than getting a driver’s license. Sure you have to take an online course and take a test, but let’s fact it, just because someone has a license doesn’t mean they have knowledge and experience to handle your biggest investment. I’m part of a large nationwide network of professional Realtors, and this is a common theme around the U.S. I had some clients recently who took a very intelligent approach to searching for property. First, they did their due diligence to find an agent they thought had the requisite knowledge and experience to help them find their ideal property and negotiate the best price. Second, only then did they start looking at properties. Makes sense, doesn’t it? I think it does. Of course, I am a Realtor, but I’m willing to be interviewed, and you’re welcome to do your due diligence in looking at my background to see if I can help you sell or buy your next property. I love helping people buy and sell real estate, and everything I have learned in 30 years of real estate (including 20 as a real estate attorney) is yours for the asking. A majority of buyers now start their home search with an Internet MLS search for Sequim and Port Angeles properties. This is true all over the United States. Did you know that not all real estate brokers and not all agents are necessarily members of your local MLS (multiple listing service), wherever you may live in the U.S.? What does it mean if a broker is not? Let’s consider the implications. Most people know that the MLS is where real estate agents post their listings. This is the first step in marketing a property. Putting the listing in the MLS gives other agents who are members of the MLS the ability to view the details of that listing and share the listing with their potential buyer clients. All of this exposes the listed property to more potential buyers. So why wouldn’t a broker be a member of a local MLS? There are three logical reasons. First, it is too expensive. That is not likely, since it is not an expensive service. In fact, it is the least expensive marketing an agent will ever do. The second possible reason is that the broker has a better marketing plan. That could be, but this also not likely, since the best marketing plan would include first listing it in the local MLS. The third possible reason would be that the broker’s membership was suspended or revoked by the local MLS board. If that is what happened, we don’t even want to discuss going further with that broker. Anyone who list with such a broker either does not know about the suspension or revocation or they are on Ritalin. For the consumer, there are several more important considerations in deciding to list with a non-MLS participating broker. What is the broker’s plan to market your property? Does he or she even have a plan? How are the listings exposed to the rest of the world, or are they at all? Does the broker depend almost entirely on just hanging poor photos of your listing in the window at his or her office? How many buyers will that expose your property to? Is the broker’s effort at marketing focused only on local buyers in a limited marketing effort, or is there any national exposure to the many out-of-state buyers? With no exposure to all the other local brokers and agents, how does the broker intend to expose your listing to all potential buyers, or even many of them? Most buyers will be working through other agents, right? What is the broker’s relationship with other local agents? Good? Bad? Non-existent? If the broker is not part of the local broker network, understand that it is highly unlikely that other local agents will ever tell their clients about the broker’s listings. Why should they, they don’t get paid. A non-MLS broker will not have an IDX (public) search capacity from their website and your listing won’t show up in other agents’ websites through their IDX public property search tool. Does the broker have many other agents who will help market your property, or is the broker a loner? A non-MLS broker may try to entice customers with discounted commission rates. One question here. Would you pay a discounted price for a burnt steak, a rotten potato, and freezer burnt vegetables? What’s a discount if you don’t get the service, can’t sell your home, or don’t get the best price? Last question. What is the broker’s relationship with past clients? I don’t mean just 2 or 3, I mean many of them. Anyone can end up with a few happy clients, but what about dozens or 100’s of clients? Are there a lot of burned bridges? Don’t you want to know? When it comes to hiring a real estate agent, do your due diligence. There’s no such thing as a free lunch, but there is such a thing as getting a broker who wants to list your property but is not even in the MLS. Your logical goal when selling your home is to get the highest possible price in the least amount of time. I recommend choosing your real estate agent carefully. It’s a very important decision for you. How would you find a good experienced and professional real estate agent in Sequim or Port Angeles? Someone you could be sure was both competent and trustworthy? Who is the best Realtor in Sequim or Port Angeles? The following are true stories from somewhere in the U.S. Only the names have been changed to shield the guilty. True Story #1. An out of town couple hire a real estate agent to find their dream home. Their agent shows them a number of homes. They purchase and close on one they love. Later they discover the home is infested with pests, and the wood under the house in the crawl space is rotting because of excessive moisture and standing water. Their agent knew about this but did not disclose it. The buyers paid for the repairs out of their own pockets. True Story #2. A widow purchases a home that turns out to have asbestos, but she has no recourse against her own real estate agent nor against the inspector. True Story #3. A couple listed their land with an agent they found through a popular advertisement. Their land was listed for over a year but never sold. Out of frustration the couple did not renew the listing and decided to sell it themselves. True Story #4. A couple listed their home with an agent, but months passed by and they didn’t hear from their agent, didn’t have any activity on their home, and didn’t see any advertisements. They withdrew the listing, listed with another agent and sold the home within a matter of weeks. What are you looking for in a Realtor? Do you know how to identify what you want in a Realtor? Or will you end up disillusioned with your agent? By the way, the photo above is me . . . many years ago. Wow, I look so young. Looking for a competent and trustworthy Realtor? Interview me and ask me anything you want, and you decide. I don’t have all the hair I had in that photo, but I do have the experience you might be looking for. Email me at chuckmarunde@gmail.com or simply call me anytime at (360) 775-5424.